At the moment of this analysis OpenStack projects are close to reach the 74,000 commits since their start as observed in the Activity Board. That activity was developed by more than 2,000 different contributors that at some point started 68,000 code reviews processes and sent and reviewed close to 270,000 different patches. There are more than 33,600 reports in the ticketing system, that were opened by 3,303 different participants. And high activity is also registered in the discussions forums, with close to 52,000 emails messages posted by 2,800 participants and more than 6,200 questions in the OpenStack question and answer tool. Focus on the development activity, developers can be divided into 246 core developers, 461 with regular activity and 1,214 occasional ones that at some point submitted some patches and contributed to the code. Regarding to the release of Icehouse, this cycle shows an increase of the activity in all of the analyzed data sources. 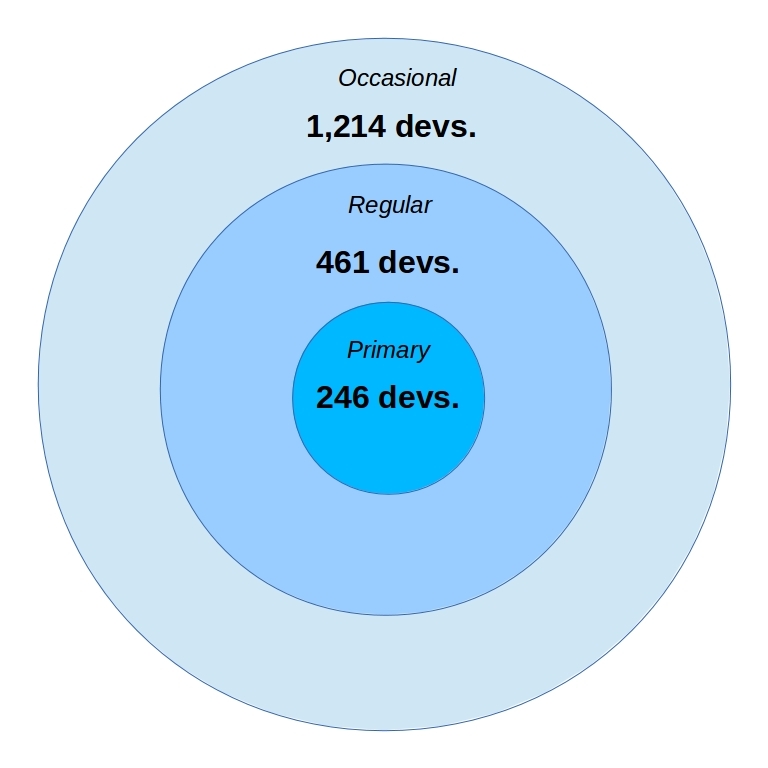 21% of the developers are responsible of a 80% of the total activity and 20 organizations submitting changes to the source code are responsible of a 70% of the total activity. The top 10 distribution of commits for those organization is lead by Red Hat as the main contributor, followed by IBM, HP, Rackspace and Mirantis in the top 5. Not main changes if compared con the preliminary results about Icehouse participation presented some days ago. And it is worth noting that main actors in the development of the OpenStack projects keep in somehow stable, at least comparing with Havana and even with Grizzly, the previous two releases.